Premier Management Alliance, LLC is pleased to announce the availability of special business Lending programs for restaurant and commercial property owners. As the number one provider of jobs, small business owners need an advocate for them to obtain financing to grow their business. Premier Management Alliance is organized to help restaurant and commercial property owners. Leading business consulting firm, Premier Management Alliance, LLC is announcing special business lending programs are now available to restaurant and commercial property owners. Premier Management Alliance focuses on providing restaurant and retail businesses efficient and quick solutions to expanding and enhancing their operations. Principal and CEO Jeff Uter stated that Premier's professional business consulting service is directly organized to assist clients in obtaining financing needed for new projects. Leveraging our experience in the multi-unit restaurant and retail markets, our network of SBA and Commercial lenders understand the structured and proven business planning process which enhances funding approval. “Our consultants at Premier Management Alliance are committed to helping business owners obtain the financing they need for launching their new projects and expanding their operations,” said Mr. Uter. 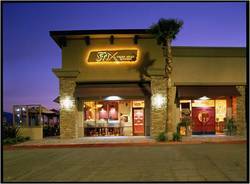 Premier Management Alliance has been serving multi-unit restaurant and retail chains since 1997. Functioning as a full-service project management company, Premier Management Alliance specializes in business consulting, operations performance and turn-key project delivery of new and existing stores. For more information about how Premier Management Alliance, LLC can help you finance your next project, please contact Jeff Uter, Principal and CEO, Premier Management Alliance, LLC, at (877) 542-0036 or via e-mail at info(at)pmallc(dot)com.